Download the Snaplocal Rewards App. Available for iPhone and Android. 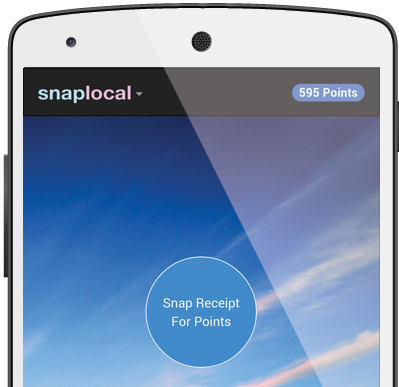 The Snaplocal App gives you points at participating local businesses every time you visit..
Redeem points for cash off or free menu items. Reward valuable customers to visit your business. Use Snaplocal Rewards to encourage loyal customers to spend again and again. Customers visit more and spend more when they are rewarded with Snaplocal.